One could almost have expected it. With the recent high-tech and internet boom, entrepreneurship, the old art of turning ideas into money, is turning more into a science, and a very glitzy one at that. How could the world’s leading research universities pass up the opportunity to take all their scopes and research tools and probe this new discipline in the hopes of discovering its guiding principles? One interesting byproduct is the MIT/Stanford Venture Lab. This is actually a forum in which local startups present their business case to a panel of experts and a general audience, who analyze and critique their plans. It is an excellent introduction to the issues involved with starting and growing companies. It is also an excellent way to meet and network with other people with similar interests. Attendees are typically aspiring entrepreneurs, executives from Silicon Valley companies and Venture Capitalists interested in financing good ideas. Presenters have included companies like 3Com, General Magic, and recently, JavaSoft, Sun’s Java software development division. 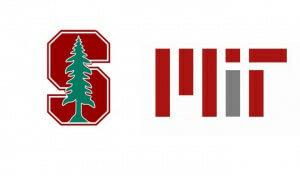 The event takes place monthly (with the exception of a summer break) at the Stanford School of Business. Admission is open to anyone willing to reserve in advance and pay the $25 admission fee (this includes rather tasty appetizers, which can serve, for the determined, as a full dinner, so don’t hit the Back button yet!). A short reception at the beginning gives presenters, panelists and the audience an opportunity to mingle. This part is quite worthwhile, even apart from the food, since some pretty accomplished folks show up at this event. Check out the Venture Lab’s web site for its all star list of panelists. Among the more interesting people I met there were a Venture Capitalist who was financing an Internet startup founded by some students at U. C. Berkeley, and an entrepreneur who, after having headed several successful (and some not so successful) startups, was in the process of searching for the next `big thing’. The reception is followed by a formal introduction of the company and the panelists. The company under study then presents its case. Each of the panelists then presents his or her reaction, commenting on what they see as the company’s particular strengths and weaknesses. The company responds to these issues and a general discussion is opened up, which includes questions and comments from the audience. I attended two recent presentations – JavaSoft and Interactive Minds. Interactive Minds defines its charter as “Start Up Incubation and Acceleration”. Their pitch is as follows: as entrepreneurs (many of them engineers with bright ideas but with little exposure to marketing and business) scramble to take advantage of the recent boom in high tech, they face tough challenges raising capital, ensuring time to market and finding the right people. Despite the significant increases in venture capital in recent years, entrepreneurs in early stage startups are finding it harder to attract capital because Venture Capitalists are now considering later stage deals, with lower risk and higher dollar amounts involved. Interactive Minds’ idea is to step in with management and marketing expertise at an early stage, in order to help the startup carve out its first niche in the market, strengthening its case for venture capital, and providing a foundation for the survival and future success of the company. Their services include help with the creation of a business strategy, marketing plan and financial model, attracting funding, strategic alliances and executive search. Interactive Minds operates closely with their clients, with members sometimes taking key positions such as those of President or CEO in their client companies. Founded in 1995, the company has worked with some prominent names, among them Yahoo!, America Online and Pacific Telesis Interactive. The panelists, in this case consisting of a lawyer, a Venture Capitalist and a successful local entrepreneur, raised some interesting issues. Since Interactive Minds has a significant say in defining their clients’ business strategy, how can a client be sure that its business plan and marketing strategy will not be compromised by the company taking specific knowledge and skill to its next client. This might be a competitor, or a company operating in a similar niche of the market. A big question mark was also placed on the company’s long term viability. How can a company which works with struggling startups, which are themselves looking for cash, ensure a steady source of revenue for itself. And a business model in which the employees are essentially consultants who spend most of their time with their clients, away from each other, does not support a strong corporate identity, or the prospects of growing very large. The entrepreneur in the panel described the company’s strategy as `too logical’. In his experience, the beginning of a really good venture always has an element of randomness associated with it. Startups cannot necessarily be incubated and nurtured the way Interactive Minds was proposing. The presenters did a reasonable job addressing these issues. They attempt to avert the risk of lawsuits by being very careful with the personnel they assign to similar companies and the specific advice they provide under these circumstances. They believe they could nurture successful companies – they already have a track record of promising startups – and they believe their equity stakes in the companies they nurture can be used to ensure sufficient cash flow. The thrust of JavaSoft’s presentation was `the case for 100% pure Java’. Java, a programming language for Internet applications, has taken the computing world by storm after it was introduced by Sun Microsystems two years ago. Its great attraction is its portability (an application written in Java on one type of computer can, theoretically, run on any other computer supporting Java), and the fact that it is an open standard. It is a cornerstone of Sun and other companies’ battle to wrest a piece of the mainstream software market away from Microsoft. But Microsoft has hit back with a strategy it has used effectively in the past. It too has heartily adopted Java, but it is introducing extensions and changes into the language and is providing development tools and applications which use these extensions. And of course this new Java and its appendages will be very well integrated with Microsoft’s other software and will run only on PCs. This strategy, if successful, will give Microsoft the benefits of the new technology introduced by Java, without having to lose its dominant market position in defining and developing software applications and standards. JavaSoft’s mission is to prevent this from happening by developing a Java standard that meets the needs of the software developer community, and by licensing and certifying Java implementations that are `100% pure’, i.e. which conform to JavaSoft’s open standard. The advantage of this strategy to JavaSoft’s customers would be true platform independence, and allegedly, a level playing field in which no software developer (including those at Sun) had an unfair advantage in exploiting the newer and more powerful features of this emerging standard. The panelists’ main concern in this case was JavaSoft’s financial plan. It was dubious that only revenues from licensing, certification and standards development could justify the huge investment that Sun is putting into this venture. In order to really benefit from JavaSoft, Sun would have to leverage its position as the standard setter to get its products to market earlier, destroying the level playing field. One of the panelists, the CEO of an Information Technology firm, suggested that this was the correct thing to do, since the fact that Sun was actually reaping profits from JavaSoft would increase confidence in pure Java’s viability as a supported language. People who invest millions in a long term corporate IT strategy need assurances of this nature. Questions were also raised about whether Java could live up to expectations as such an integral part of a future software development environment which was truly portable. Applications written in Java are slower than those written in other languages, and as of today, Java is still not truly portable in its entirety. Interestingly enough, one of the panelists was a principal in a Java software startup called DimensionX, a firm which only a few weeks later was bought by Microsoft! I found the Venture Lab to be very instructive and thought provoking. Check out their web site for more details and if any of the companies interest you, do give it a try. It is well worth it.